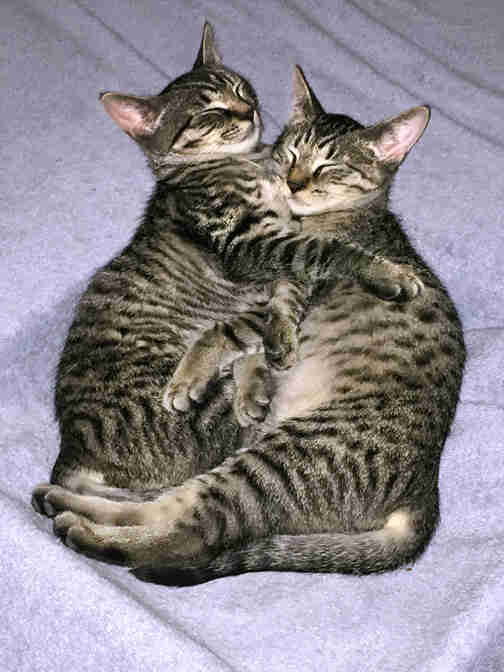 "These two kittens are so beautiful and elegant, you’d never believe they were born on the streets." 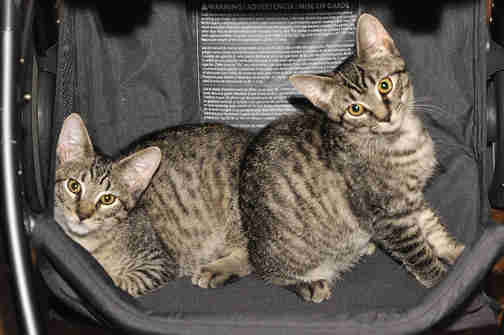 Comet and Venus are two tabby kittens who were born on the streets of West Orange, New Jersey. 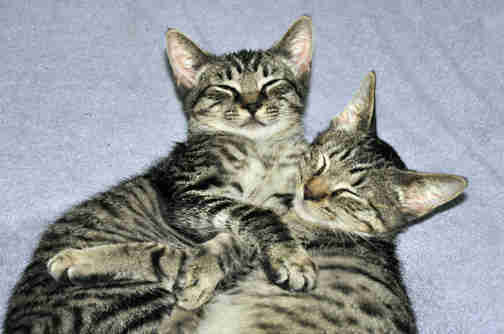 They were feral and terrified of people. 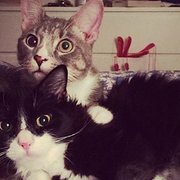 But when local people saw them trying to survive on the streets with their mother, they started feeding the little family, and eventually contacted West Orange TNVR (trap, neuter, vaccinate, return) to see if Comet and Venus would be amenable to an easier life — one in a home with a human family. 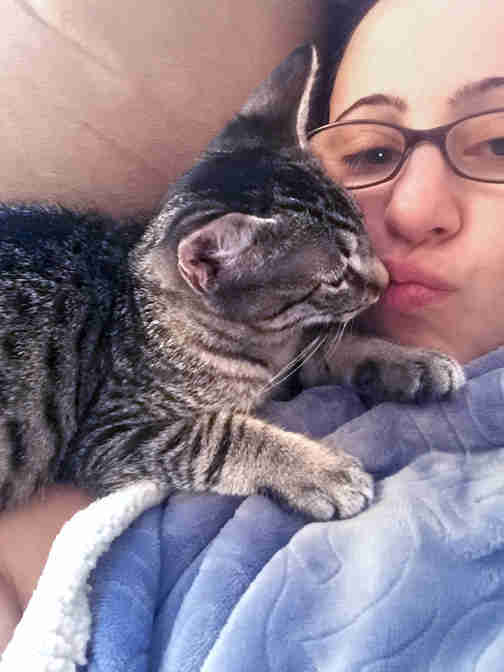 Miriam Stein Battles, a volunteer with West Orange TNVR who has five years of experience fostering cats and kittens, originally lined up another foster home for Venus and Comet, but she eventually ended up taking them in for foster care herself. "They were about 3 months old. 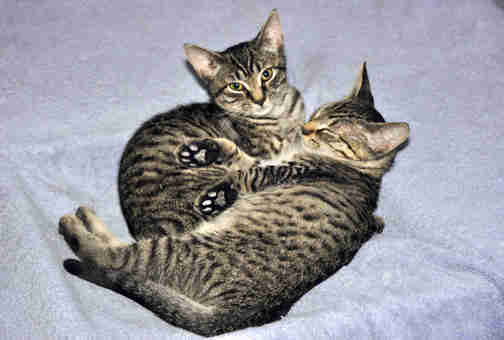 That is the age when kittens can go either way, feral or friendly," Battles told The Dodo. "I didn’t want to give up on them ... They had been fed by humans but the people had kept their distance so these kittens were completely feral, very scared and entirely angry." Battles was also a new mom, but she was determined to help Comet and Venus become adoptable. She kept them in the bathroom for a few days to let them get acclimated to their new surroundings. "After a few days of my repeatedly entering the bathroom and tempting them with treats, they calmed down and proved to be merely shy and not aggressive," Battles said. "They had perfect litter box manners and were great eaters." They also managed to keep each other entertained, thanks to the toilet paper roll. Soon, Battles decided it was time to let them explore the house a bit. 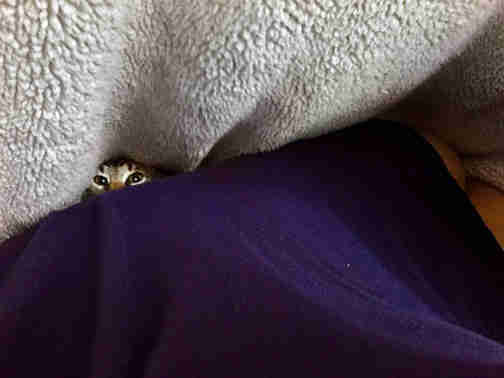 "They happily left the bathroom and retreated to a space behind and inside the couch, which we affectionately refer to as 'the kitten highway,' as it had been used by so many former foster kittens," Battles said. "It took one day for the brother to acclimate and he became curious enough that he came out from behind the couch, jumped up and crawled under the far end of a blanket that I was lying beneath ... That was the beginning of a beautiful relationship." Comet has blossomed into an extremely affectionate and curious kitten. "He loves to investigate his surroundings, play with anything, toys, pens, baby toys," Battles said. "He’s a total goofball." While Comet enjoys playing in blankets, Venus has discovered her affinity for guarding shoes. Venus is more reserved and guarded than her brother, but with his help and example, she's slowly coming out of her shell. 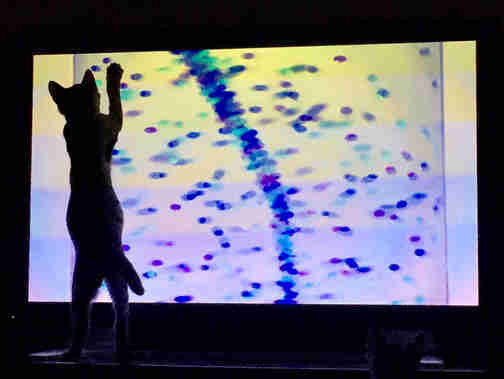 "She enjoys to be around people and will sometimes let me pet her when she’s sleepy, at which point she seems to enjoy it," Battles said. 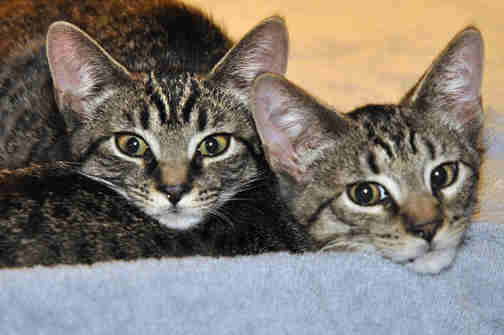 The two former street kittens are getting an experience so many never have — they're learning what it's like to be part of a family. They need just one more thing — a forever home they can call their own. "There’s no telling if they’ll ever be highly socialized to all humans but they are clearly well-socialized to 'their' humans," Battles said. 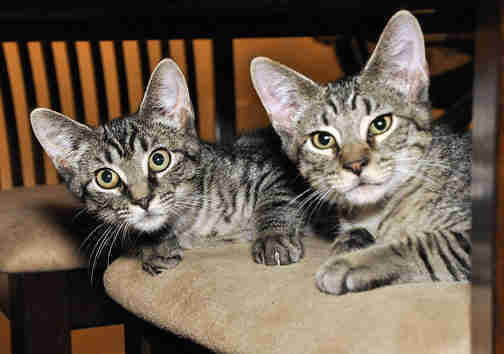 "These two kittens are so beautiful and elegant, you’d never believe they were born on the streets," West Orange TNVR wrote. If you think you're the human Comet and Venus need, and you're willing to adopt them together, you can contact West Orange TNVR at wotnvr@gmail.com or via their Facebook page.